In a fractured Europe, new nations are springing up everywhere, some literally overnight. For an intelligence officer like Jim, it’s a nightmare. Every week or so a friendly power spawns a new and unknown national entity which may or may not be friendly to England’s interests. It’s hard to keep on top of it all. But things are about to get worse for Jim. A great many maps were made in Europe in the Middle Ages. Foremost among them were the Mappae Mundi: "maps of the world" meant not as navigational aids but to illustrate different principles—the earth's spherical shape, say, or its flora and fauna. Such scrolls represented repositories of medieval knowledge, but even the most definitive had their limits; here be lions and the like was oft-enscribed where the unknown roamed. The Ebstorfer Mappa Mundi, for instance, depicts a dragon to the east of Africa—also asps and basilisks, presumably because it was better to show something than nothing; better, according to that thought process, to invent the positively extraordinary than to admit the littlest deficiency. In this day and age, we expect rather more from our maps than that. We demand that they are exact, in fact—detailed to the nearest nanometre at least! And perhaps they are. But you know what? I hope to God not. If we're to understand that modern maps are absolutely accurate, then there remains nothing about the world we do not know, and me... I love a bit of a mystery. Which might be why I loved Europe at Midnight. That and a hundred other reasons, even. What follows, for Jim, is "an exercise [...] not unlike Second World War reconnaissance, looking at images of the same scene taken days apart and trying to spot troop movements." (p.211) Rupe, in the interim, reels from a related revelation. Over the course of Europe at Midnight, these two tales twist and turn and eventually, inevitably, come together—to tremendous effect. Wonderful as Europe in Autumn was, I believe book two might be better yet. It's certainly more accessible than its predecessor, which ran the risk of repelling the less than dedicated by masking its main character and repeatedly pulling the rug from under its readers. 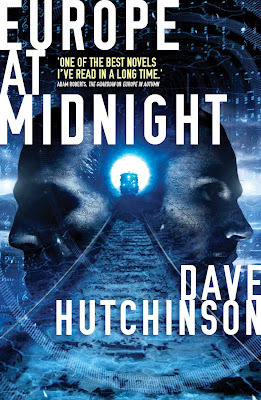 Here, on the other hand, Hutchinson gives us two through-lines—though I'd note that neither one is exactly what it appears to be—and a pair of more immediately appealing protagonists. Transparent—relative to Rudi—as they are, Rupe and Jim are cannily characterised: one's a bit bumbling, the other's a perfect professional; one has a sense of humour, the other doesn't; and both, but of course, have personal lives Hutchinson peppers the proceedings with—personal lives that give them an emotional stake in the top secret operation this novel chronicles. There's something brilliantly British—and as such, singularly ham-fisted—about the espionage our odd couple are involved in. Perhaps surprisingly, Europe at Midnight is a fairly hilarious spy story, not least because it's so self-aware. 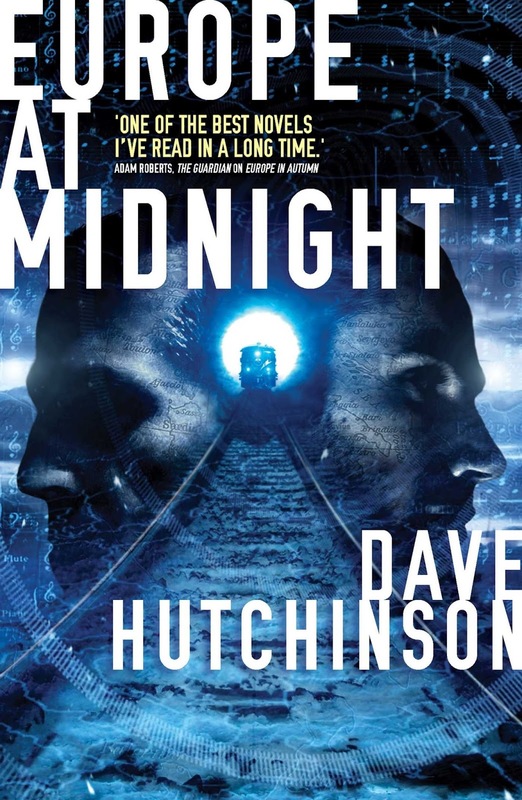 "Everything seemed to take place in an atmosphere conjured up from early le Carre and Deighton and films like The Man Who Never Was" (pp.222-223) which is fitting as far as it goes, except for the fact that Hutchinson's narrative and characters are rather less... glamorous. "A mad story about a family of wizards and a map" (p.104) it may be, but Europe at Midnight is as rich and as relevant as its predecessor. It's funny, fantastical, readable and remarkable regardless of your prior experience of the series. Which just goes to show that, like the Mappae Mundi I mentioned earlier, no matter how well you think you know something—or someone, or somewhere, or somewhen—there's almost always more to the story. Do you think it might be all right to start with this one? Absolutely. Hutchinson does a damn fine job of repeating everything readers such as yourself will need to follow Europe at Midnight without even seeming to—though let me say again that, though it's harder work than this one, Europe in Autumn is awesome.